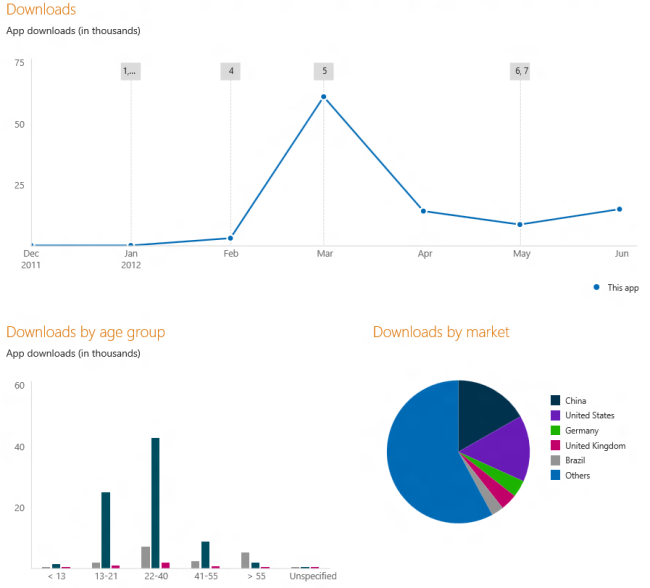 spritehand: The Windows 8 Store is HOW BIG? The Windows 8 Store is HOW BIG? 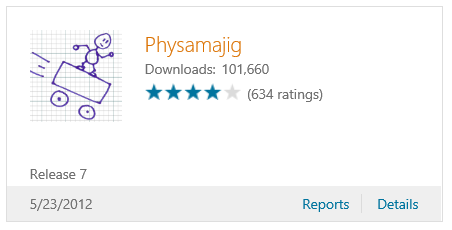 Physamajig for Windows 8 has reached a bit of a milestone with over 100,000 downloads on the Store! It took a little over 3 months to reach this milestone... but note that this is just the preview versions of Windows 8! 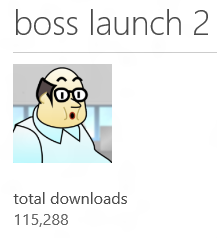 Compare Physamajig to one of my more popular Windows Phone 7 apps, Boss Launch 2, which took over a year in the WP7 App Store to reach 100,000 downloads (it currently is at 115k+ downloads). But this was a year in release of Windows Phone 7 - whereas Windows 8 is in preview. As of now, the Windows 8 Store is still closed for general submission, but if you create a great app or game, you can apply for a Windows Store token by following the steps outlined in this blog post.